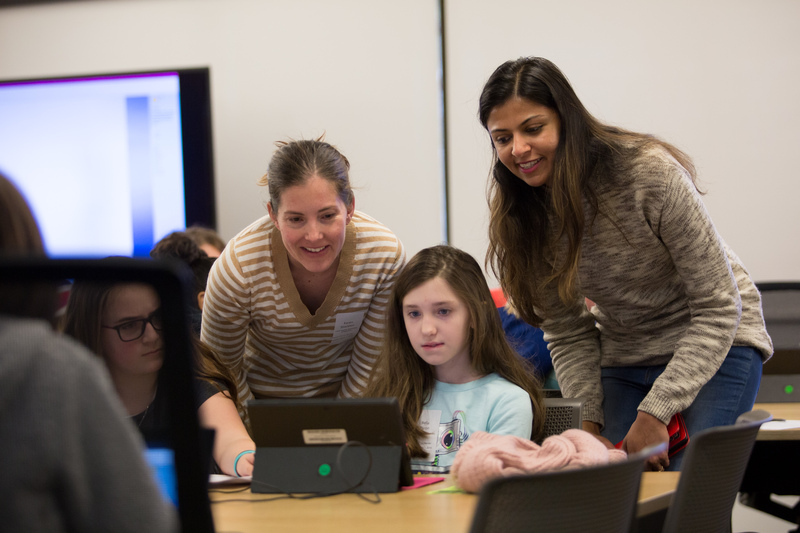 On March 7, a group of about 80 fourth and fifth grade girls from Van Asselt Elementary and Loyal Heights Elementary had the opportunity to engage in an IGNITE Microsoft Coding Workshop! They also got to hear from a Panel of incredible women, who shared their journey and stories into technology and their careers at Microsoft. Energy and excitement was in the air that morning, as the girls, teachers, and chaperones left our school on South Beacon Hill in Seattle. Prior to this trip, our students had never experienced a trip designed exclusively for girls. 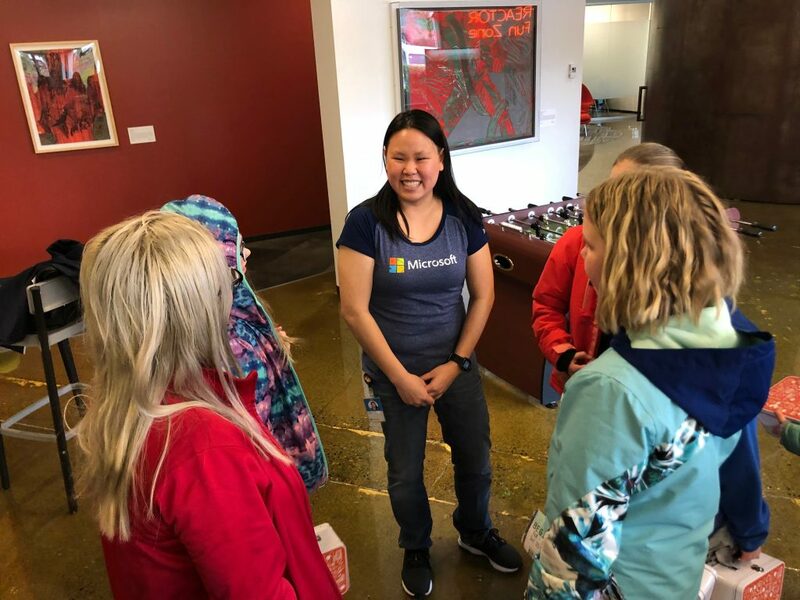 They were enthralled and their smiles, exuberance, and lively conversations as we made our way to the Microsoft campus in Redmond, were all indicators of pride, anticipation, and even a sense of solidarity. “This trip is just for us, I can’t wait!” one of my students beamed. Upon arrival at the campus, we were greeted by an education coordinator and a host of welcoming volunteers. 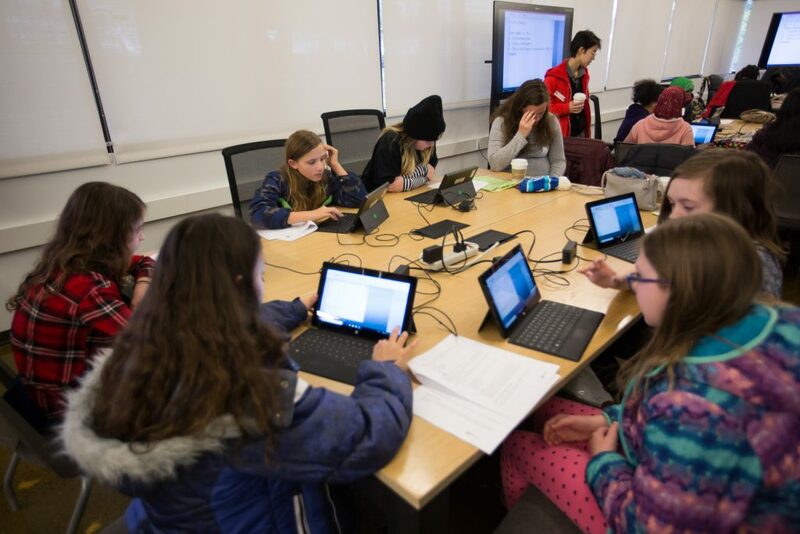 Our students were invited in to a large digital learning lab and equipped with Surface tablets. 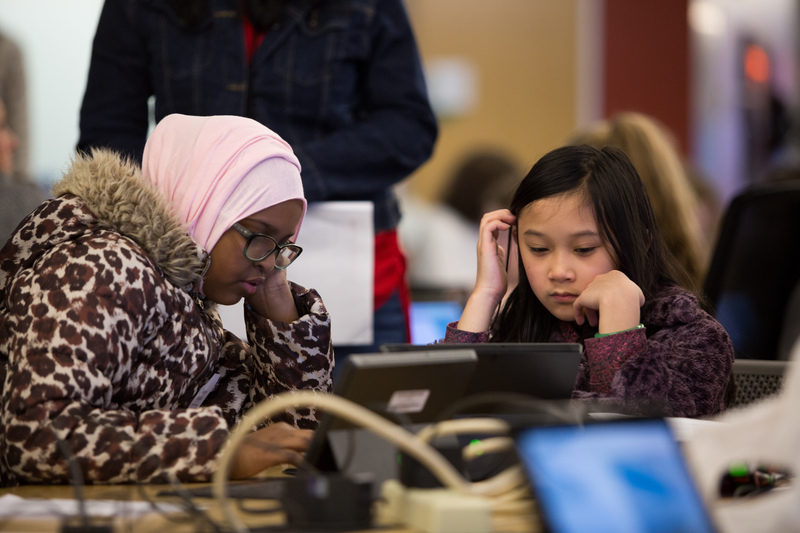 Over the course of the next hour, the students were lead through a series of “Small Basic” coding activities. 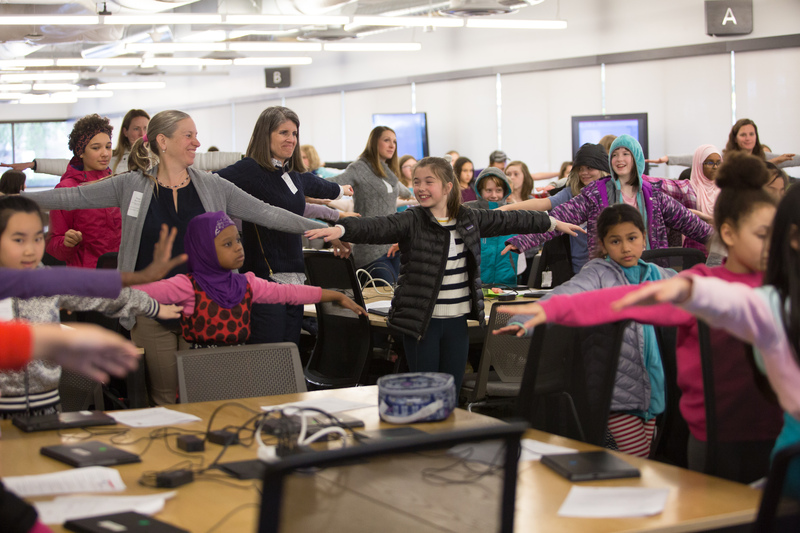 The energy of the coordinator and the volunteers was contagious and even though coding was new and challenging for many students, they dove right in. A color-coded step-by-step directions sheet and a large screen for modeling the coding strategies were both supportive learning tools for our students, many of whom are English Language Learners. The students were hooked! When it came time to enjoy the pizza lunch provided by our hosts, some of them didn’t even want to stop. 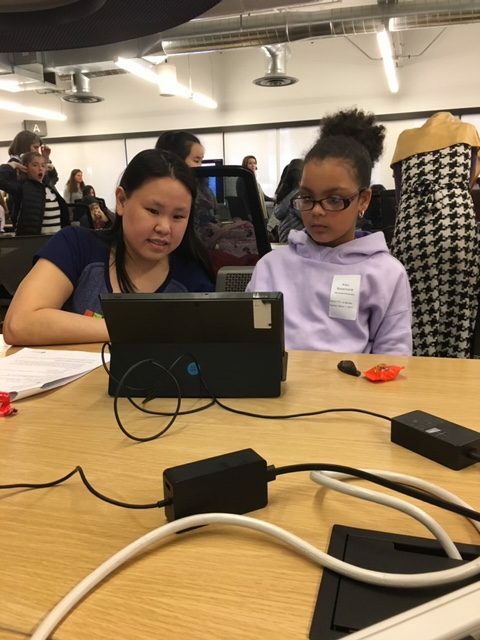 Following our lunch, the girls were given an opportunity to learn about the many volunteers who had been supporting them in the previous hour with a “Women in Tech” panel. 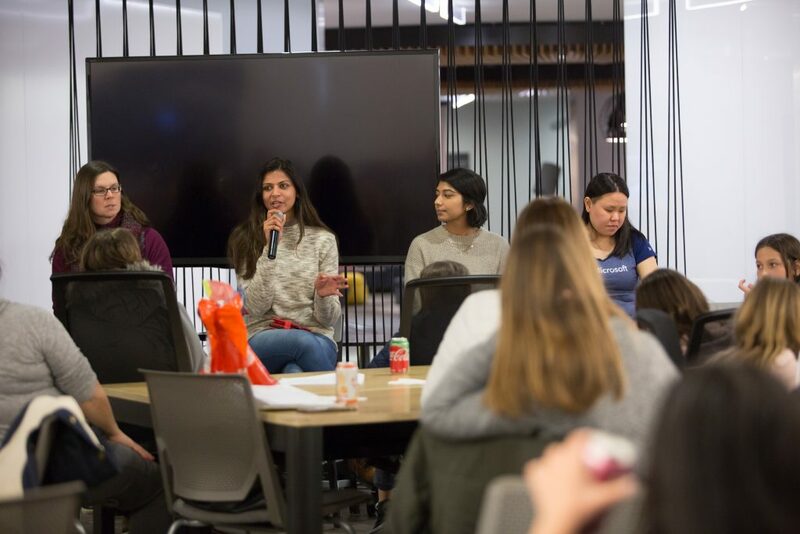 The women shared their personal stories of getting into the technology field and took tons of questions from our enthusiastic bunch. Many of our students had thoughtful and enriching questions that went beyond the tech industry and connected on a deeper level, such as: “Who inspires you?” and “If you were not in this field, what direction would you have gone in your life?” Our students were genuinely struck by these women and one of my students commented to me later that asking questions was her favorite part of the whole day. 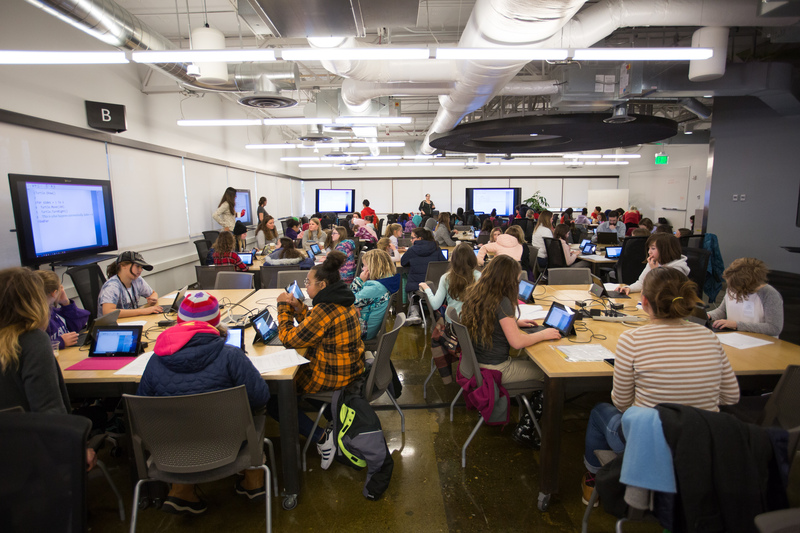 On March 7th, 2019, thirty-six fourth & fifth grade girls from Loyal Heights Elementary made their way through an early morning snowfall to the Microsoft campus. 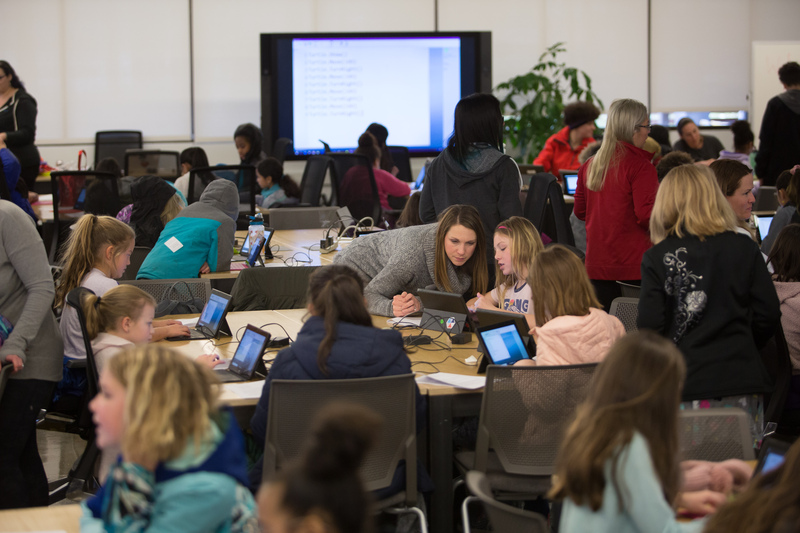 On this IGNITE trip, students explored how to code and met several women who chose a career in the STEM profession. 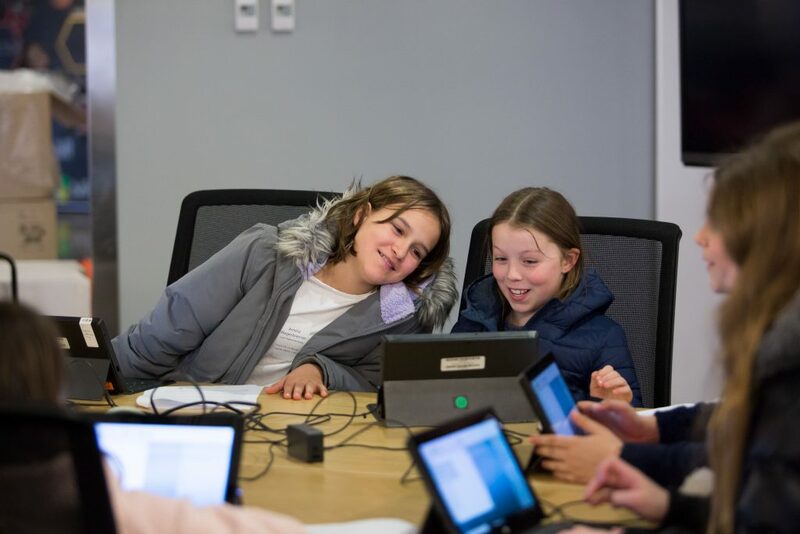 The girls loved coding, and although a general set of directions were given, each girl made it her own and was creative with the directions they chose. They each produced something they were proud of. 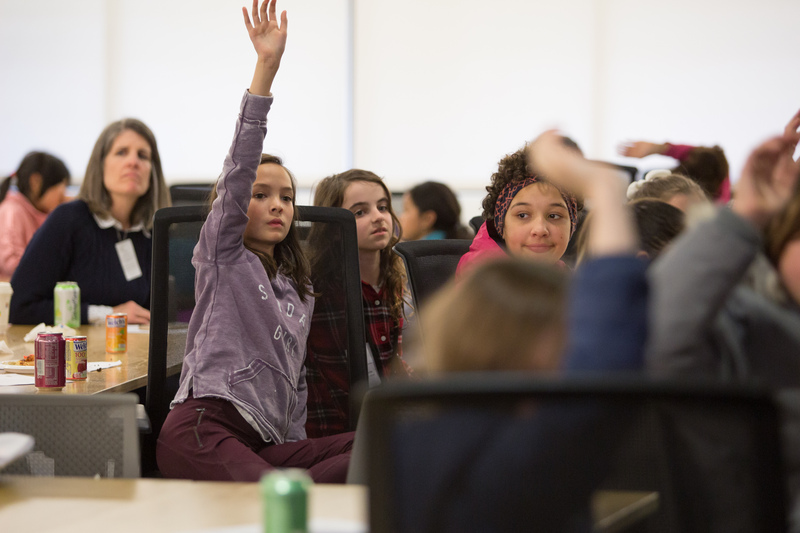 After receiving lots of pizza, the girls sat for a question and answer session with a panel of women professionals who work at Microsoft. The questions they asked ranged from “who was your favorite teacher?” to “what is the most challenging part about being a woman in this career?”. The girls LOVED this experience. Parents were so impressed with what the girls went home with that night and shared with their families. The girls were so excited about everything they learned and experienced. It was the first snowy morning, and for once the students were happy about school not getting cancelled. As an educator, I was impressed at how genuine the Panel was in answering the questions honestly. The message to the girls was to work hard, appreciate the support your family provides you, and to do what you love. Thank you to IGNITE and Microsoft for making this possible. Our young female & non-binary students need to believe that working hard and believing in yourself is the way to make your dreams come true.